Updated on October 28th with new meditation images of the Green Quantum Healer Code at the end of the message. The Healing Light continues to present itself in many beautiful and varying forms and the experience we had this week reflects this truth one more time. This past Tuesday we woke up to the most spectacular weather and decided we must get out into the sunshine before the rain and fog roll in again. I received a message that we were indeed to return once again to the Infinity Portal in White Rock, to receive two things: a “gift” and an “encounter”. I was excited about the prospect of both because I am so curious by nature and I knew nothing ever happens by chance, that everything we experience ultimately moves us all further along the ascension timeline. As we arrived at Crescent Beach we felt the timeline lift to what is clearly the highest frequency we have ever experienced here. Recently when we were in Burnaby there was a protuberance field of the 7th Dimension but that was an entirely different energy quality/ experience. This day was characterized by a brilliant golden-peach light and a beautiful clear soft blue sky and flat ocean, that both shimmered under the sunlight. We found a quiet and calm spot on the beach with a beautiful large flat log on which to sit. We settled in easily and immediately tuned in to the energies. After a short time our beloved Blue Crystalline Beings of Light joined us, gently surrounding us in a cocoon of green light [ “Coastal Paradise” – B. Moore Paint ]. Here is a sample of the exact colour and I am sharing this because I feel it is very important to visualize the colour as you tune in to this powerful healing frequency energy. After a few moments this new and beautifully gentle, caressing energy began to flow at a steady pace into our fields accompanied by a rising breeze that intensified the colour over the next hour. Beautiful crystalline geometric shapes began to float down around us created from this green light The above photo is the exact style of the four-pointed star-shaped code and I am amazed that it was so easy to find it for this message. This energy was so gentle and loving, it really took my breath away. I wanted to stay there, at the beach, forever! “As you tune into our energy field and place a hand upon your heart, feel yourself receiving this gift, a new healing code, what we shall refer to as the Quantum Healer, offered as a divine dispensation for you both. This Code is new upon this earth plane, never before seeded here, and is commensurate with the recent re-birth of Mother Earth as you know her, into the Original Earth, the new energetic landscape ripe for this transferal. As healers you will be able to transmit and activate this new code in each person that you encounter individually. This code complements the Immunity Grid recently brought into this plane and the Multi-dimensional healing code transferal in early June of this year. Even though the Immunity Grid was recently brought in worldwide, there are individuals who are not able to access it because of their own beliefs which are of a soul-limiting nature. The planet is flooded with this green light and it has been transferred directly into the quantum structure at the cellular level of humanity. It is unique in its action as it learns to adapt to each individual and what each requires for their own specific healing. This template lies in a dormant state until such time as it is activated by either the Soul itself, or in harmony with the Soul and the healer together, who may be present. 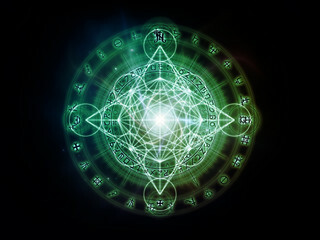 As healers who carry the activation code, you shall be able to transmit the activation activity to other healers. This role shall be revealed in divine timing. It became clear that the bestowal of the green quantum healer code is the next step of human bioelectromagnetics as announced by the Elohim to be the new paradigm of life in the original earth and many more fifth dimensional gifts shall follow. We then both moved in consciousness to different timelines and realities where we saw the use of this and all other codes that have been gifted to us over the years, being used in various healing temples. We envisioned the temples in Lofer – Austria, New Raetsia, Freising – Germany, in the Andes mountains in South America and here in Vancouver at the unusual place on top of a hill, with an outlook over a good portion of the Infinity portal. This area (and building) in Vancouver has come into our awareness for some reason and we both feel and have had confirmation that it represents a great healing temple. We know we are the gatekeepers of this healing light where our role is most sacred and our involvement with each healing will be divinely arranged. We are told that as we rise in frequency and move into a fifth dimensional reality our expanded awareness shall support our careful evaluation and implementation of this healing light with other healers. After more than an hour of bathing in this bright green light that was now all over the rocks and sand, and even at this point I sensed it had heavily permeated the ocean air, we got the inner urge to get up and go to the seaside restaurant for lunch. At this point Georgi said he felt the energies really ramping up and that our work was not done yet! Our “encounter” was about to materialize! With the weather being so spectacular we sat outside in the warm sunshine, everything still bathed in green light. It wasn’t long before a woman who had already been sitting there when we arrived suddenly decided to strike up a conversation with us. The lovely woman was experiencing a steep path to enlightenment and as she openly shared her story, we realized that she was going to be the first recipient of the new green quantum healer. Archangel Raphael was present behind her and made his presence very clear to me. This meeting was not a chance encounter, it was the trigger of an alchemical reaction where our new friend represented the awakening portion of humanity. As a clinical practicing nurse in different specialties over many years of practice, including a year of psychiatry, I could quickly discern the beliefs that she has felt acceptable to hold as she experiences her own awakening process. It was clear that her beliefs were creating the blockage to the implementation of the Immunity Grid, exactly as the Blue Crystalline Beings had described to us in their beachside message. She represents the awakening humanity who cannot move forward toward a new level of consciousness without first dismantling their own belief systems as well as those of family, friends and medical staff who are involved in their very special care, as she had also shared. The Green Quantum Healing Code has been brought here for humanity’s time of awakening and it is the first step in healing all bioelectromagnetic systems, including the human mind. Once this beautiful code has worked its magic at the quantum level, the Immunity Grid will activate and what I understand is that longevity shall replace illness and facilitate our move into a fifth dimensional expression. There is so much healing needed here but now I know the higher realms are here to help us as healers, by bringing in to us this critical element that has been missing as we free humanity of the mental and physical ties to unhealthy concepts such as “separation” from the Source. I am so comforted by the arrival of this code and its ability to affect change at the level of the infinite.